It was just a matter of time before an onslaught of complaints were filed against the prematurely ended Alliance of American Football (AAF) league. 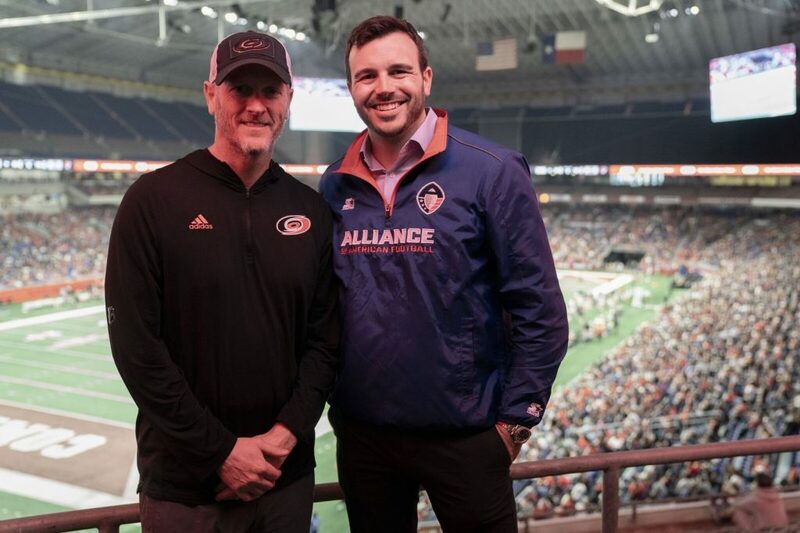 In fact, one lawsuit was filed naming corporate entities supporting the league, and its founder Charlie Ebersol, when things were looking up and the AAF had just found itself a new investor in Carolina Hurricanes owner Tom Dundon. But Dundon’s capital commitment was not what it once was believed to be, and what many thought was a $250 million promise turned out to be much less than that. Now, a couple of fresh lawsuits have been filed in the wake of the AAF ending its operations. One was brought by former employees of the league for violations of the Worker Adjustment and Retraining Notification Act of 1988, with the plaintiffs claiming that they were not provided proper notice under statute that there would be a mass layoff. The other lawsuit was filed by former players within the league who claim that the league breached its contracts, breached its implied good faith and fair dealing and committed fraud. It is the allegation of fraud that may allow those players to not only go after corporate entities that likely have no assets to pay out, but also individuals who were connected to the league. As such, those players, led by Colton Schmidt and Reggie Northrup, have included Dundon and Ebersol as individual defendants. That idea seems to have already been debunked. Dundon purportedly does not own the technology. In fact, the owner is allegedly MGM, which invested money into the AAF’s technology business in June 2018. The intellectual property issue aside, players suing the AAF argue that they are entitled to relief because they were fraudulently misled into believing that the AAF was financially viable when defendants such as Ebersol are claimed to have known that the league did not have the means to survive from day one. Athletes put their health on the line and passed up other financial opportunities to perform in a league that had little-to-no chance of success, state the plaintiffs, despite many former AAF athletes now signing contracts with National Football League teams. Defendants in the case include Dundon and Ebersol, as well as AAF Players, LLC, which entered into the team contracts with players, Legendary Field Exhibitions, which is believed to be a holding company for the assets of the AFF, AAF Properties, LLC, which is believed to hold sertain AAF assets and Ebersol Sports Media Group, which is a predecessor entity to the AAF. The lawsuit contains many “on information and belief” clauses that can tend to weaken the premise of a plaintiff’s position. That said, there are some poignant quotes from Dundon and Ebersol that lends to the plaintiffs’ theory that they were sold a bill of goods. After that first week of games, we were at the height of our valuation and were able to dictate our future. The fraud cause of action, which will likely need to survive in order for the plaintiffs to effectively pierce the corporate veils and go after the individual defendants, is based on a claim that the defendants concealed and surpressed a material fact about their intentions for the long-term viability of the AAF. The plaintiffs allege that the defendants intended to conceal the fact that the league was insolvent. If the case gets to the discovery phase, then it will be interesting to see what the plaintiffs are able to find on that particular issue.